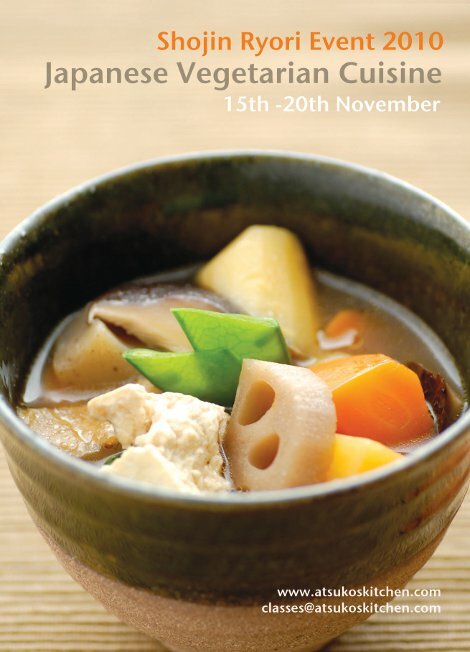 Mari Fujii has taught temple cuisine for over twenty years. 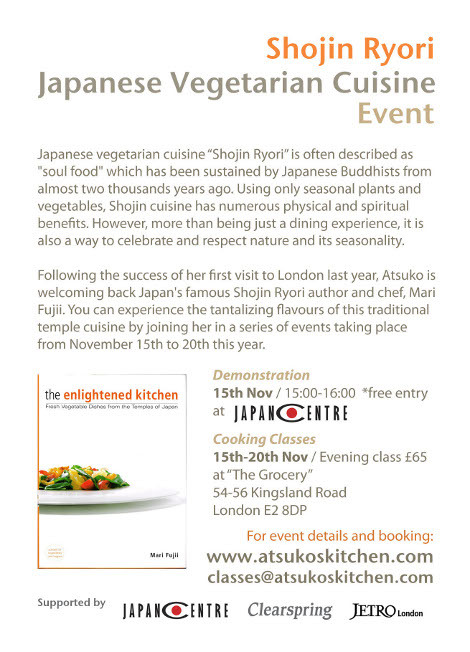 In this event, she presents a series of Shojin Ryori dishes, many adapted for the Western kitchen but all true to their roots. And she teaches the importance of drawing out the natural flavours of seasonal ingredients rather than something with heavy sauces or spices. You will have a nourishing experience for both body and soul.